Hi, I'm Zoe. I’m adopted! Zoe was adopted December 2018! 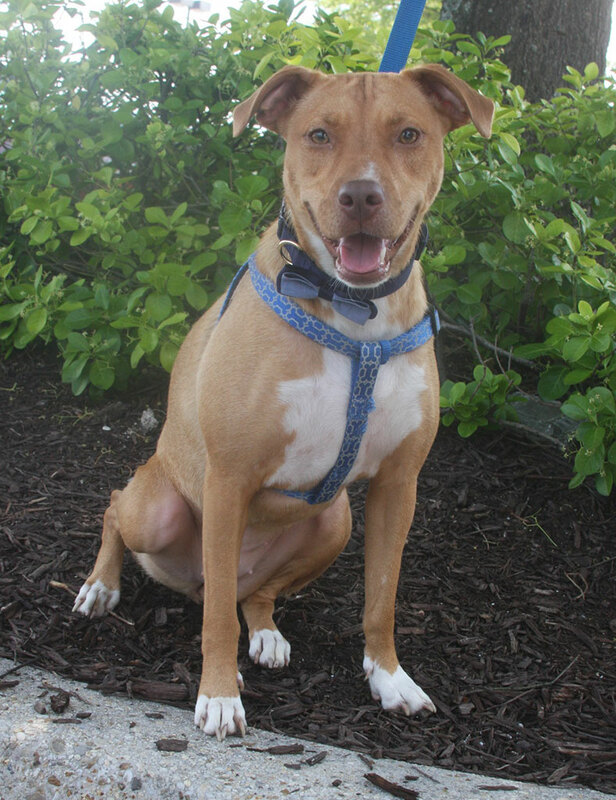 Zoe is a happy, high energy dog with a lot of love to give. She will snuggle in your lap or play with you for hours. She loves walks, car rides, cats, big dogs, little dogs, and lots of love. Zoe has had a hard past, but luckily she is young and quick to learn. She needs some time to get to know new people and new dogs, so be sure to be patient and kind. Zoe had surgery last year and is fully recovered. We believe she was hit by a car, because she is very afraid of moving cars. She will always walk with a limp, but it doesn’t slow her down one bit at the dog park or in the yard! Zoe loves her crate and even sleeps in it on her own. She’s house-trained and loves chew toys and to play with her rope toys. 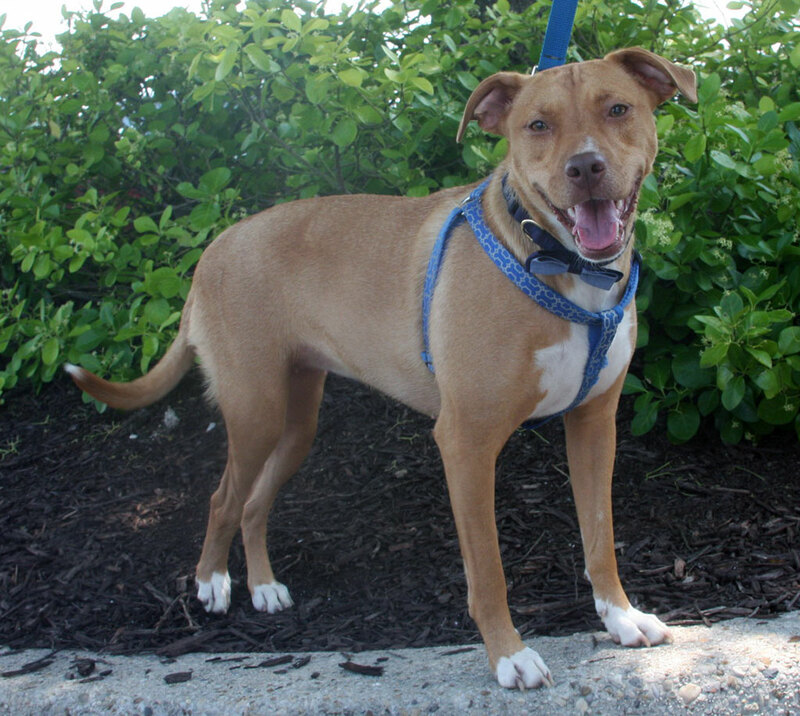 Zoe needs a home with lots of space and lots of exercise. 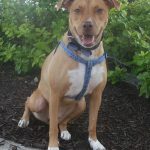 She will likely calm down with age, but does need a good walk or play time with you every day. She seems to be scared of children and gets very nervous around small kids. 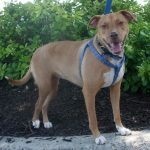 In particular, Zoe needs an understanding adopter who will not expect her to warm instantly to everyone she meets. While Zoe has never met a person she didn’t ultimately consider a friend, she needs to be given plenty of time and distance to get to know new people. Zoe needs to meet people on *her* terms, not theirs. 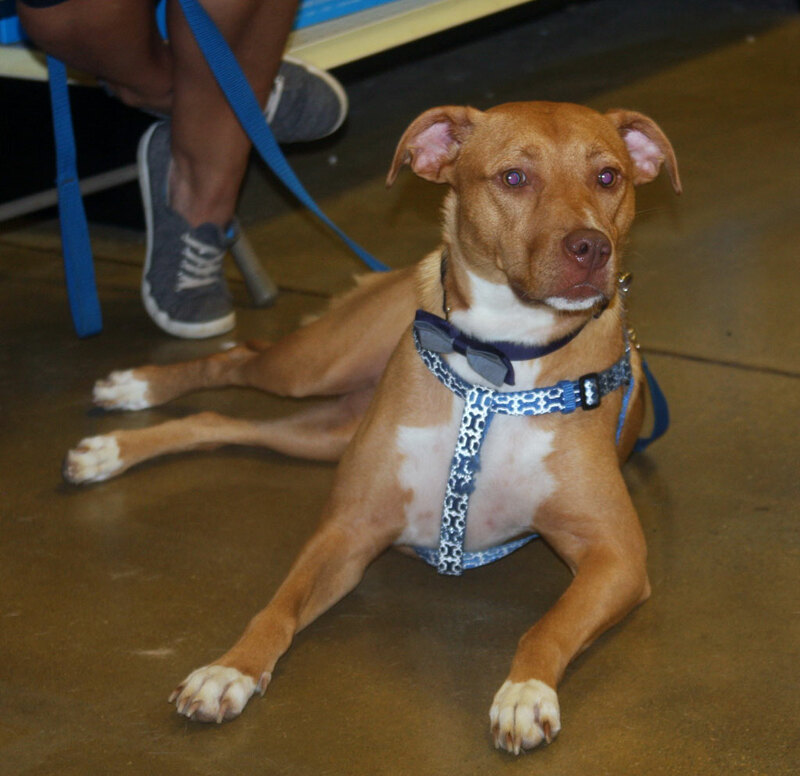 Zoe’s foster has loved having her but is excited for her to begin a new adventure. She is so special, loving, and often misunderstood. Give her a chance and she will love you forever. Age and weight: I'm about 2 years old, and weigh 30 pounds. If you are interested in Zoe. I’m adopted!, consider letting us know by filling out a (no-obligation) adoption application. Please consult our Adoption FAQ before contacting us. 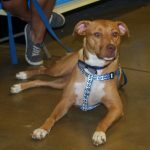 **CHANGE** Zoe IS NOT expecting to attend the next adoption show, September 22nd at the Bowie PetSmart, although there is always the chance that plans may need to change at the last minute.